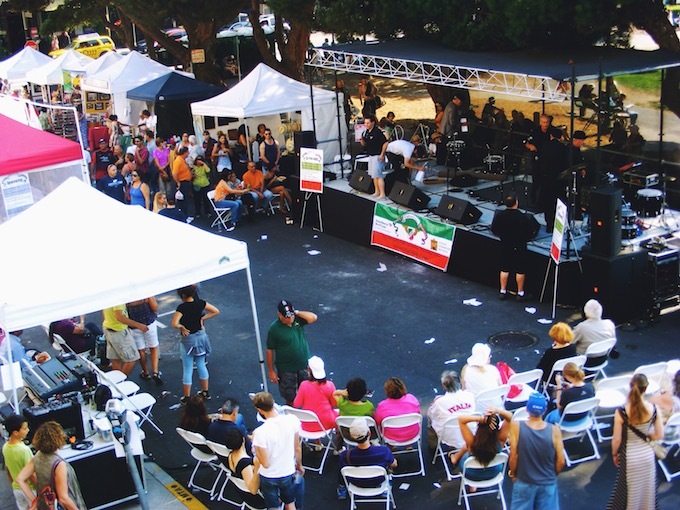 Celebrating its 97th anniversary, the San Francisco Italian Athletic Club Foundation presented la Festa Coloniale Italiana, last Saturday, August 15. 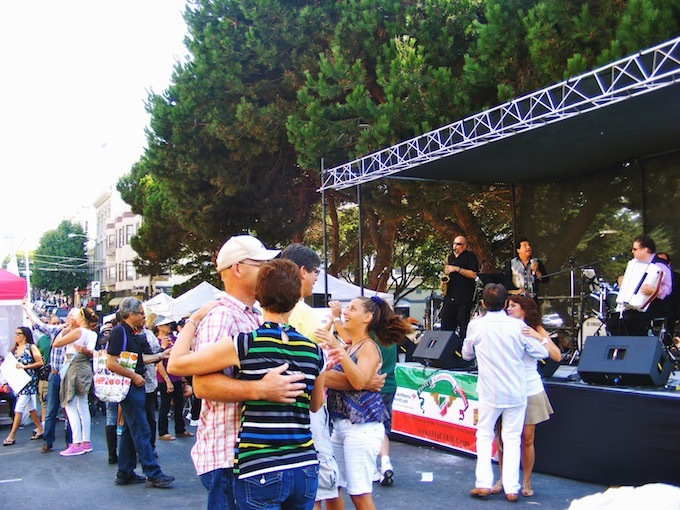 Along Stockton Street between Union and Filbert, lovers of Italian culture gathered as a family to celebrate the club’s heritage and the community around it. 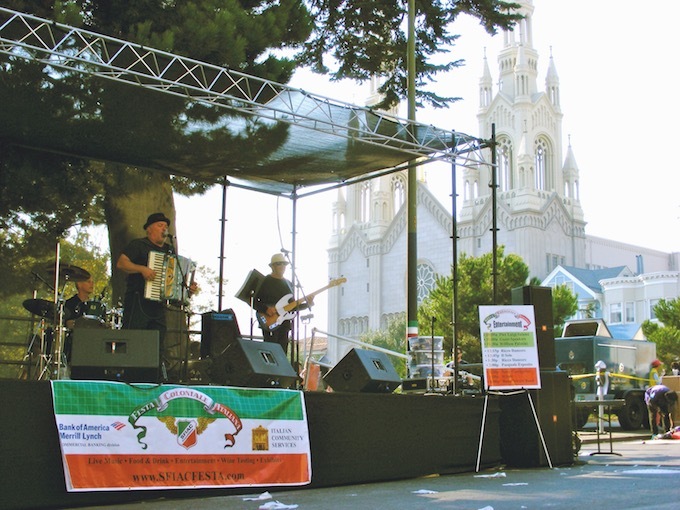 In the heart of San Francisco’s North Beach district, affectionately referred to as Little Italy, Festa Coloniale Italiana welcomed audiences with sunshine and traditional Italian songs. 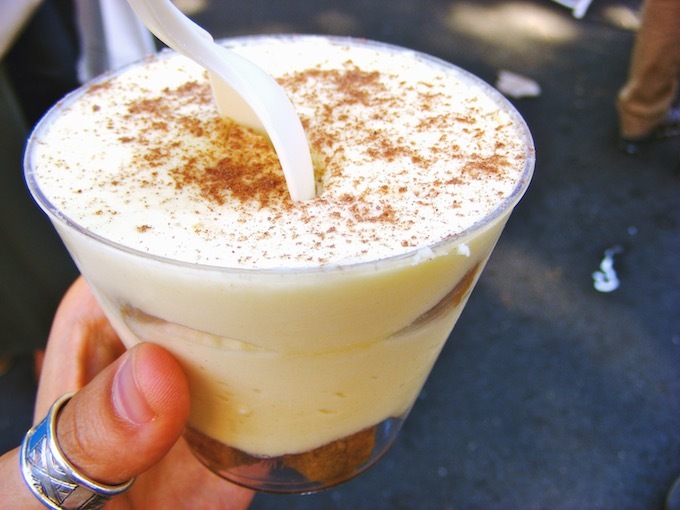 Throughout the day, musicians offered their own interpretations of classics Italian songs as merchants sold their handcrafted Italian products and food vendors supplied Italian dishes and beverages. Its hard to say whether the Italian culture was best-shown through the entertainment or the food. A long list of talented musicians, including Il Sole, William Palmini (aka Italian Elvis) and Pier Luigi Salami, as well as the Ricco Dancers, featuring Toni Bava, dazzled audience members of all ages. But there was also Tony Gemignani, 11-time world pizza champion and two time Food Network gold medalist, who served as the culinary ringleader. He organized the competition for tossing pizza dough. According to him, Festa Coloniale Italiana is important because “I want to keep alive this heritage. I often return to Italy for different events, so I can say that for me. 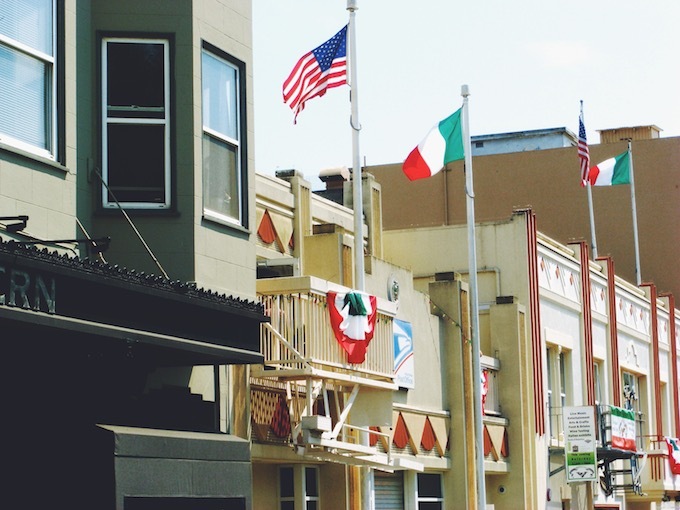 My roots are strong.” With the Italian flag flying above the San Francisco Italian building Athletic Foundation, just under the eyes of Saints Peter and Paul Church, the festival brought people together in a joyful atmosphere that reminded us of our own family reunions. Though not every member of this extended family has made the pilgrimage to Italy, the community is united. 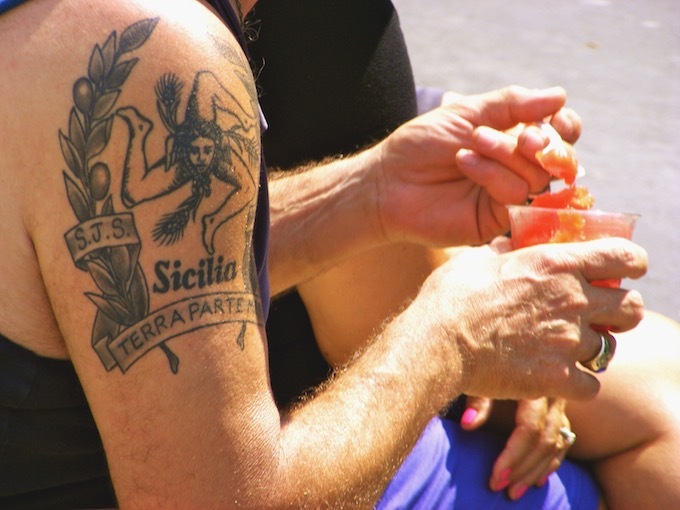 Together, they keep the rich, generation-spanning Italian-American culture alive in San Francisco. “We need to remember the sacrifice of our ancestors and to keep this heritage alive”, says Gay Locke, member of Le Donne d’Italia, recalling the memory of his relatives who left Italy and rebuilt everything in North Beach. For Locke, it’s their responsibility “to continue the duty of memory in North Beach.” Event organizer Nick Figone says the point of Festa Coloniale Italiana is “to maintain tradition, and respect family values,” the values he teaches his children. Like a tattoo on their hearts, these values are the link to the past and the key to living in a foreign country without forgetting where you came from.